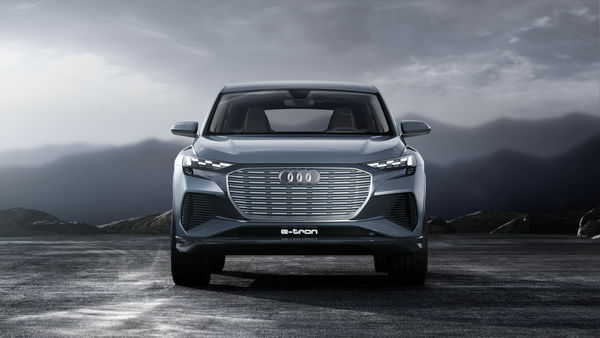 Audi recently unveiled its Q4 e-tron concept, giving us a glimpse of the future 2021 Audi Q4 e-tron production model. This concept, which arrived with production-ready looks, further confirms Audi’s goal of offering 12 all-electric vehicles by 2025. 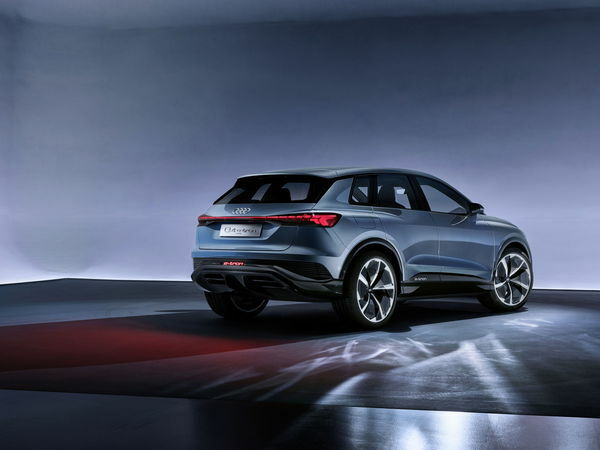 The 2021 Audi Q4 e-tron concept is a compact crossover, measuring 180.7 inches long, 74.8 inches long, and 64.4 inches tall, that shows off a surprisingly traditional look for being a concept. 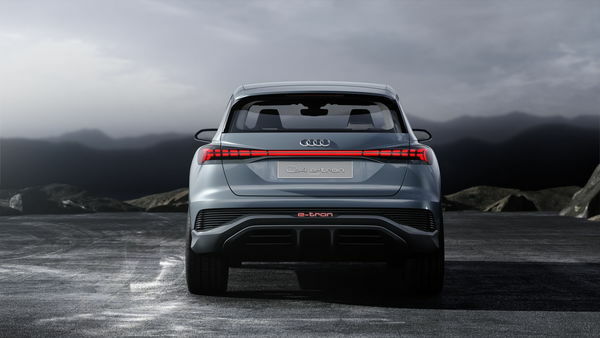 Up front, the Q4 e-tron concept boasts checkerboard-style matrix lighting that will likely become more traditional LED lighting in the production 2021 Audi Q4 e-tron. It also boasts the traditional Audi singleframe grille, but the insert appears closed off to help air flow up and over this EV. Around back, striking LED taillights are connected by a light band that could make its way to the production model. Inside, the design takes a bit of a turn to the wilder side, but it is still very close to being a production design. The dash features a floating center console that sits just below a 12.3-inch touchscreen infotainment system that handles various vehicle controls. These controls are tilted toward the driver, putting more focus on the experience behind the wheel. Audi also kept things toned down a bit with limited chrome use. Instead, Audi focused on using more painted surfaces for a smoother look inside. 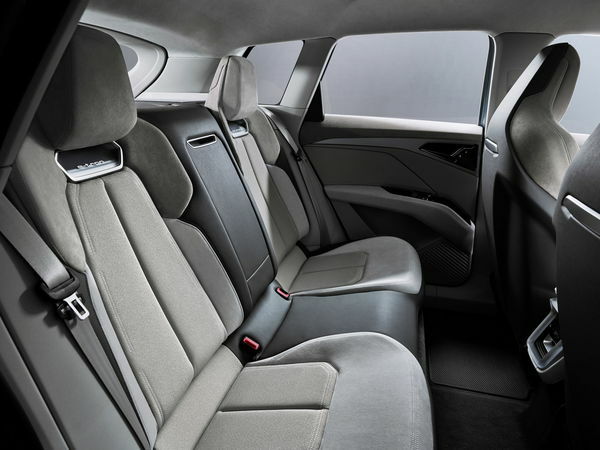 With how production-ready the cabin is, we could easily see most of this design transitioning into the production 2021 Audi Q4 e-tron. Under its skin, the Q4 e-tron concept boasts two electric motors — one on the front axle and one on the rear — that deliver 302 combined horsepower. This sprints the concept to 62 mph in just 6.3 seconds. Plus, its 82-kilowatt-hour battery pack delivers up to 280 miles of range on the European cycle. 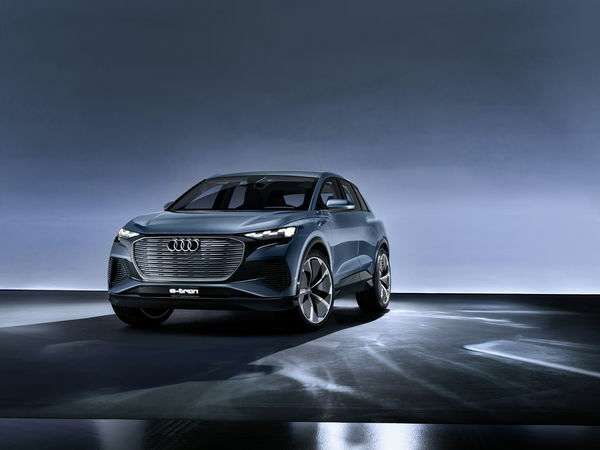 There is no mention of the safety equipment in the Q4 e-tron concept, but logic says it will come with a full array of safety goodies when the production 2021 Audi Q4 e-tronhits showrooms. By that time, it may even have a nearly full-autonomous driving system to rival Tesla’s Autopilot. Audi plans to roll out the production 2021 Q4 e-tron by the end of 2020, so stay tuned for updates. 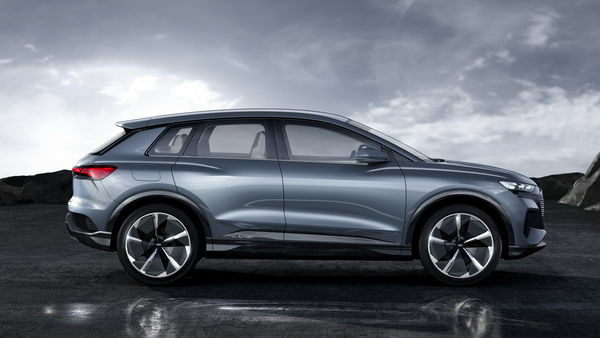 Pricing remains uncertain at this point, but we expect it to start around the same price as the upcoming Tesla Model Y. Given the Larger Model X starts from $89,200 (destination fees included), the Model Y and Q4 e-tron could start in the $50,000 to $60,000 range. 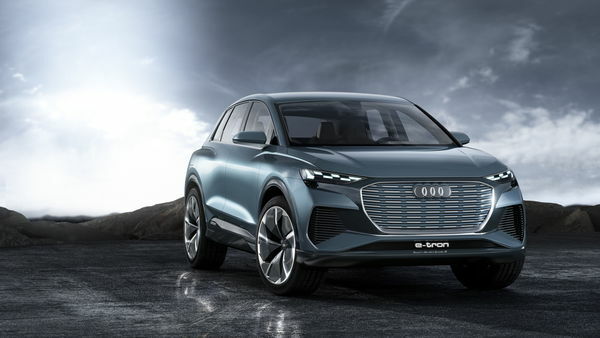 The 2021 Audi Q4 e-tron will battle the Tesla Model Y and Jaguar I-Pace.